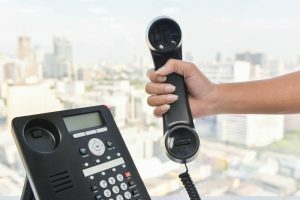 Knowing that you need a brand new telephone system for your business and coming up with the configuration may not be something that you want to take on by yourself. It is important that you are able to work with professionals in the field to give you exactly what you need in terms of a good business phone installation in Colton. When you call our friendly team at Empire Technologies, you will quickly understand why so many customers trust us for all of their business communications needs. There will be a number of important elements to keep in the back of your mind whenever something as important as your phone system comes into question. The good news is that we have experts who understand all of the latest technology and we are always available to answer any and all questions that you may have when it comes to converting over your old system or completely setting up a new VoIP communication system. This is something that we excel in at Empire Technologies and we look forward to showing you all that you can get out of your new configuration. Even if you are not sure of what you need to catapult your business into the future of technology, our team will sit down with you and go over your needs and budget to come up with the right plan. We will work to tailor your business phone installation in Colton to not only suit your company and the needs of your employees each day, but we can also make sure that the system is flexible to grow with you as your company grows. When you are in need of business phone installation in Colton, count on us at Empire Technologies. Call us today at (714)422-0431 for a consultation so that we can get started on your phone setup and getting you on track with a new system.